The distance may have been longer for Aquathlon #2 last weekend but competitors appeared to have their pacing fine tuned to suit and quite a few said they enjoyed the 3rd 200/2 the most. Perhaps it was cooler then? A big thank you to RD on the day Brian Gallagher, our rego team of Diane Napier and Dan Holmes and Di also doubled as post race refreshment provider. They were ably assisted by a number of willing volunteers including some pint sized help on the water station. Thank you all! Brian mentioned in the race brief that if everyone helped out just once a year, particularly if our more experienced members put up their hand as Race Directors, the club functions extremely well. 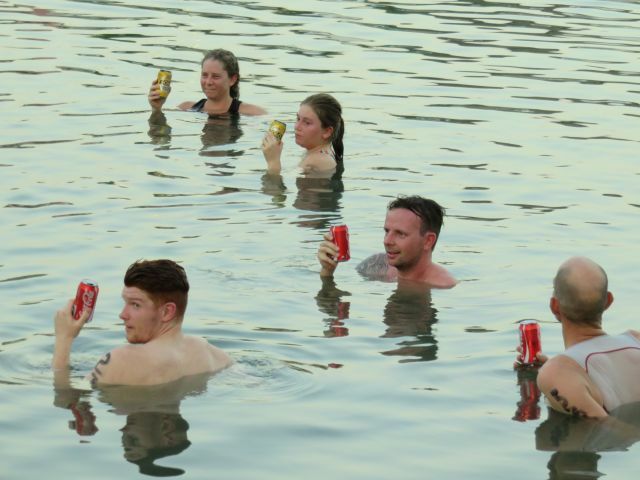 Our 2015 events come an end on Saturday evening with our annual Christmas Splash n Dash at Nightcliff Pool. This combined event with our juniors is an ideal way to kick off the festive season and to catch up with members before many start heading off to all corners of the globe. The event counts towards our pointscore and we will have a lucky spot prize draw on the day (you will need to be there to win). See you all on Saturday evening - hopefully decked out in Christmas theme! Junior details - refer email from Mel Lind. 1. The pool will be closed to public from 5pm and all patrons will be required to leave. Keep this in mind if you come early in the afternoon for a warm up swim or bring family (you will need to pay entry to be admitted prior to 5pm & will still have to leave the pool grounds). 2. Our pool booking is from 5:30pm - we will get you through rego extra quick and we may also get in earlier if possible. 3. We will have some lucky spot prizes to give away - you have to be there to win. 4. Pointscore points are to be allocated on this event. 5. Save some energy for our junior/senior relay. 6. Club tees - $15 each or 3 for $40 available at this event. Ideal Christmas stocking fillers. 1. Brett Verity was the lucky winner of the mini ipad after completing the NT Sport & Active Recreation Master Plan survey. 2. Some of our juniors participated in a relay at our event last weekend. Keen as! 3. We don't seem to have anyone on the start list at Ironman 70.3 Western Sydney this weekend. Former members Grant Preddy and Derek Cross are on the start list. 4. Hearing the stork will be busy again in 2016. 5. Countdown has commenced for those heading west for Ironman WA next week - Gary Wall, Jemma McWiggan, Bernie Wilson, Jon Clark, Alex Murdock and Peter Novak. 6. We have trisuit & tri top orders back, just waiting arrival of tri pants. Email will be sent regarding collection. 7. Seeking suggestions for practical, within budget, healthy options for post-race refreshments (food and drinks). Please email darwintriclub@gmail.com if you have any feedback to contribute. 9. Nikki Roddie is in town thawing out for a few days. Darwin climate a tad warmer than Switzerland right now. 10. Friends or work colleagues wanting to know more about getting started in triathlon? Direct them to upcoming beginner sessions. 11. Members have been jumping on some super cheap flight bargains this past week, particularly for Cairns 70.3 & Ironman Cairns. 12. Did you hear president Tony Cox on the radio on Saturday? Tony was getting the word out there about our events and the message that triathlon is for everyone with distances to suit all ages and interests. 13. Looking ahead - Ironman 70.3 Western Sydney will host IM 70.3 Asia Pacific Championships in 2017. 2016 location is Cebu Philippines with the event already a sell out. 14. Got a suggestion for a new event venue (tri, du or aqua), comments on what you have liked or how we can do things better next year? 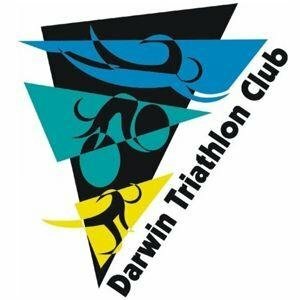 Email darwintriclub@gmail.com we value member feedback! 15. Now go dig out those reindeer ears, you will need them on Saturday! !